There’s something about playing the nationals in BC that seems to bring the best out of the Cape Breton Capers. 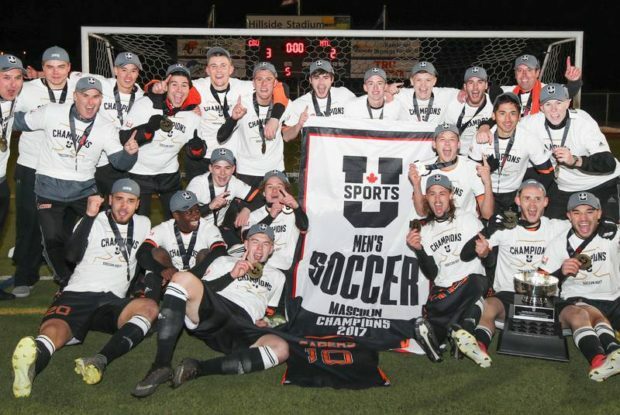 Cape Breton won their first ever U Sports Men’s Soccer Championship at Thompson Rivers last year, winning a dramatic penalty shoot out against the Montreal Carabins. Fast forward 12 months and the Capers have a chance to go back to back in Vancouver on Sunday, and once again it’s the Carabins who stand in their way. Heading into last year’s tournament, the best the Cape Breton Capers had come away with was a silver medal in 2012, in a 1-0 loss to UBC Thunderbirds, but head coach Deano Morley has patiently build a strong program in Sydney, Nova Scotia, packed with quality from back to front and dramatically turning the fortunes of the program around. Morley’s success with the Capers these past two seasons has been incredible. Undefeated in two years of AUS conference play has seen Cape Breton claim back to back Conference Championships (it was actually a threepeat as they won it in 2016 as well). Their AUS record these past two seasons has seen them rack up 27 wins and just three draws. To put it simply, they’ve been absolutely dominant. And it’s an unswerving drive for success that has seen them reach these heights. Morley has put together a squad that never seems to take their foot of the gas. Never was that perhaps more evident that in Friday’s U Sports semi-final against Carleton Ravens. 3-1 up and looking very comfortable for making it to their second straight national title game, the Capers kept pressing. Looking for more goals. Looking to put the Ravens to the sword instead of just trying to knock the ball about, run down time, and kill the game off. The only thing on their mind was more goals, and they got them too for a 5-2 final. Morley’s connection with Cape Breton’s soccer team spans 16 years. The Englishman is now in his fifth season in charge of the Capers, having previously been the program’s assistant coach from 2007, and a player with the team for the four years before that. 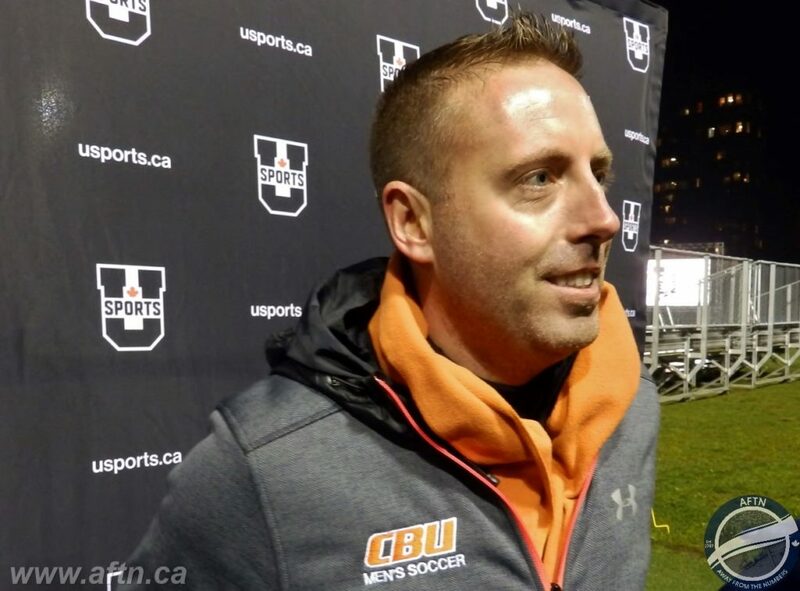 He’s seen a steady growth in the team over that time, before they finally exploded onto the college scene in some style with last year’s championship success, and Morley himself has won consecutive U Sports Coach of the Year honours. A key aspect of that Capers’ growth has been their recruitment policy, with a net cast far and wide to bring top young talent from Europe over to Nova Scotia. Twelve of Cape Breton’s current squad come from outside of Canada, with five from England, four from Scotland, two from Germany, and one from Northern Ireland. Morley admits that in part that policy was forced upon him, as the school struggled to attract Canadian talent due to it’s remote location on Cape Breton Island. That led to Morley using his many contacts back home to attract players over from the UK and Europe, all of whom have embraced the city, the province, and the Cape Breton lifestyle with a passion. And that passion has transferred and borne fruit on the football pitch. Morley’s imports have been a pivotal part of the Capers’ success, dominating Cape Breton’s starting line-ups and picking up a slew of both AUS Conference and U Sports individual awards. German defender Peter Schaale, Scottish midfielder Marcus Campanile, and English striker Corey Bent were all named to this year’s U Sports All-Canadians First Team before this week’s national. Bent, a relation of former England international Darren Bent, was named the MVP in last year’s championship game and has continued his excellent form this season and into the playoffs. He been a joy to watch at this year’s nationals, showing skill, pace to burn, and some great finishing, as he’s run the UQAM and Carleton defences ragged in Cape Breton’s first two matches. 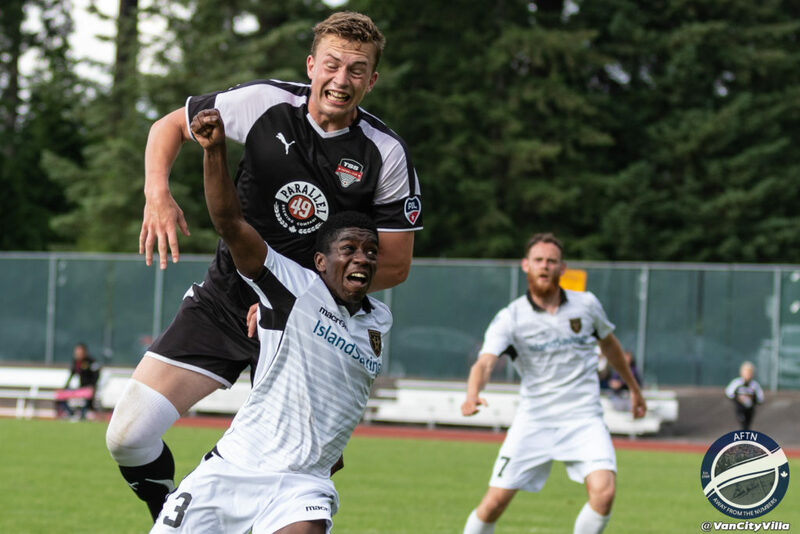 Having spent this past summer playing in the PDL with Victoria Highlanders, one of five Capers on their squad, Bent scored two goals in 10 appearances and looks to have a bright future ahead of him in the game, whether here in Canada or back home in the UK. One thing is certain, he’ll have caught the eyes of the watching CPL coaches in attendance this week. “He’s a special player, isn’t he,” Morley enthused. “His work rate defensively is a credit to him and his desire. His talent going forward is noticeable. He’s just an exciting player. I love working with him. And a great young man too. Coachable. Picking just one standout on this Capers squad though is an impossible task. It’s a stacked team from back to front. They have a blistering attack, led by Bent, and averaged three goals a game in their 12 regular season matches. But their defence is equally potent, giving up just five goals, and seeing Schaale named AUS Player of the Year. And behind it all is one of their unsung heroes, goalkeeper Ben Jackson. It’s a very exciting time for football right now in Nova Scotia. While the Capers men’s side are going for back to back national titles, and their women play for Bronze on Sunday after winning silver last year, the big game changer in the province is set to happen four hours away in Halifax. Professional football is coming to Nova Scotia when the Canadian Premier League launches next year, with HFX Wanderers one of the seven teams set for the inaugural season. It’s hard not to see a large chunk of that Wanderers squad made up of Capers players, especially with the first ever U Sports draft taking place in Vancouver on Monday. That’s also been hard for the players to ignore and put on the back burner. The chance of turning pro, staying in the province, and finishing their degrees is a fantastic opportunity for this Cape Breton squad, and Morley admits that at first, it served more as a distraction rather than a motivation for some of his players. “I was very concerned the first two weeks of this year because I thought my players, a number of them, were looking past this season,” Morley revealed. “I think they had their eye on the CPL and were more focused on individuality than the team aspect. So we had to have some strong words about it. I let them know that I had their back. He undoubtedly will, but that’s next year’s news. Right now, the sole focus of Morley and his squad is delivering a second straight U Sports Championship, where they’ll once again meet the team they knocked off last year, Montreal Carabins. Last year’s championship match was an absolute cracker, with Cape Breton needing penalties to lift their first ever national title. This year they’re back even stronger with one single goal in mind – back to back.